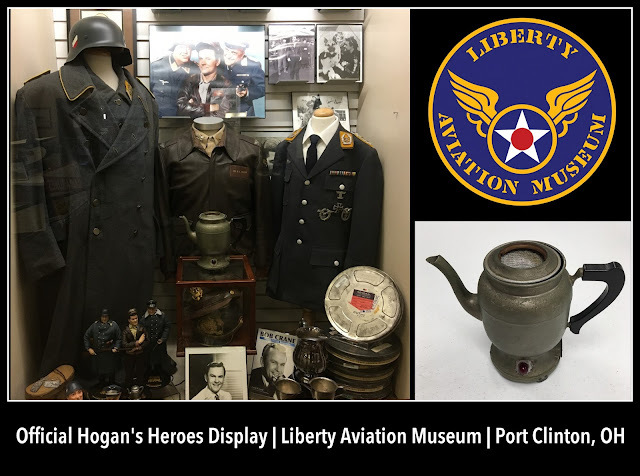 Ever since the Liberty Aviation Museum acquired Bob Crane's leather A-2 bomber jacket that he wore on Hogan's Heroes (also worn by Frank Sinatra in Von Ryan's Express), along with his entire Hogan's uniform, and Klink's and Schultz's uniforms, we have forged a strong partnership with the museum. In addition to preserving these iconic items from Hogan's Heroes and keeping them on permanent display for all to enjoy, they are also strong supporters of Bob Crane, Bob Crane: The Definitive Biography, and The Bob Crane Show: Reloaded. It's a match made in Heaven. And in Ohio. And I couldn't be happier! The museum's CEO is always on the lookout for other signature items from Hogan's Heroes. One elusive prop was the coffee pot/receiver. Fans of Hogan's Heroes know very well that Hogan and his men would listen in on conversations going on in Klink's office through the coffee pot that concealed a receiver. The Hogan's Heroes coffee pot is, without a doubt, one of the most memorable props in television history. So we were all on the hunt for it. We knew it was part of a private collection somewhere in the world. But where? Then earlier this year, that private collector decided to sell the coffee pot at a Hollywood auction. And the Liberty Aviation Museum was right there to "rescue" it and bring it home. I'm thrilled to tell you that this iconic TV prop is now where it belongs, with the rest of the growing official Hogan's Heroes display! And that's where it's going to stay! In addition to its many displays that showcase Hollywood in the military, the Liberty Aviation Museum is dedicated to preserving historical military items and vehicles. The museum is home to the refurbished B-25 "Georgie's Gal" and a restored Ford Tri-motor aircraft. They are currently restoring the PT-728, a WWII Vosper PT boat. The museum is also a great supporter of our veterans and active duty military personnel. Donations to the museum go toward helping them preserve such items, as well as honor our veterans and support our military. 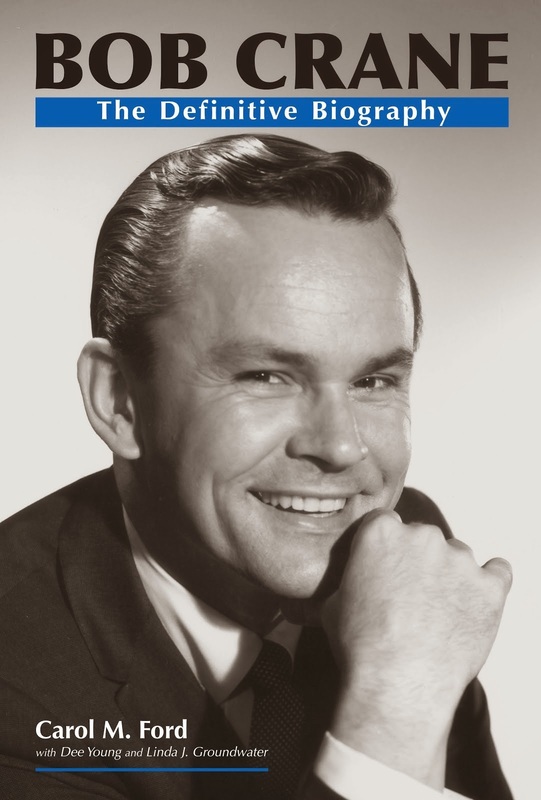 All author profits from sales of Bob Crane: The Definitive Biography sold through their gift shop are donated back to the museum to help them achieve their goals. You can visit the Liberty Aviation Museum, which is located in Port Clinton, Ohio, year-round. To learn more about the museum, plan a trip, support and/or join, or browse their online gift store, click here.